Tis the season for baking cookies, flipping potato pancakes, mixing champagne cocktails and simmering pine potpourri!?!? Yep, you read that right…pine potpourri. This year Mr. Mix and I put up our very first Christmas tree; living in New York City these last 15 years, I didn’t ever have room for a full-fledged tree. But the many benefits of moving to Boston include space for an 8-foot tall tannenbaum with a 1950′s retro star on top. Even though we decorated our home to the hilt this holiday, I still found myself marinating a batch of pine potpourri to spread aromatic wafts of the classic Christmas tree scent all throughout our home. If you’re without a tree, hosting a holiday party or just plain in love with pine, may I suggest whipping up a simmering pot of potpourri that will perfume your home with the fragrance of a Fraser Fir. Just collect and cut up a few branches of pine needles (as many as will fit in your pot). 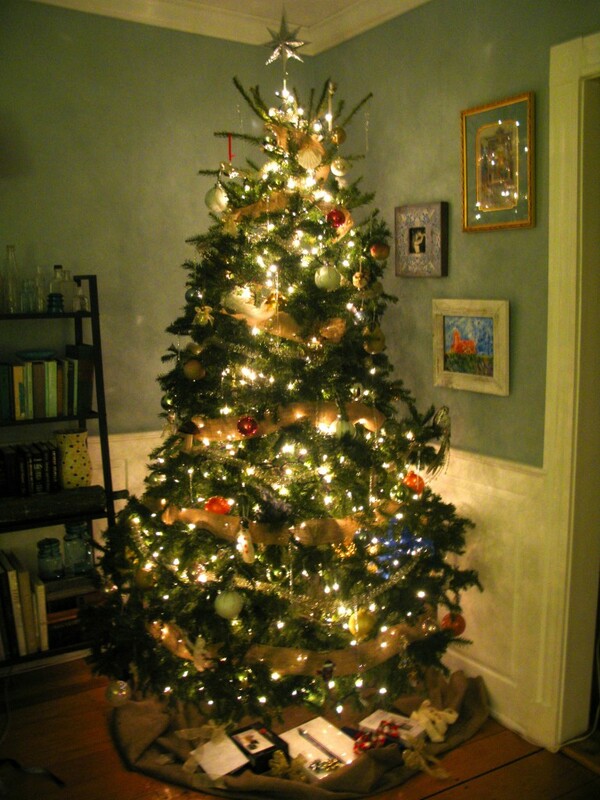 If you have a pine tree, wreath or garland handy, you can simply snip a few branches from the backside. When I was tree-poor in NYC, I would go to a curbside dealer trading in trees and ask for a few derelict branches for free. To your pot of branches, add any or as many of the following: orange peels, nutmeg, allspice, cloves, cinnamon sticks, cranberries and juniper berries. 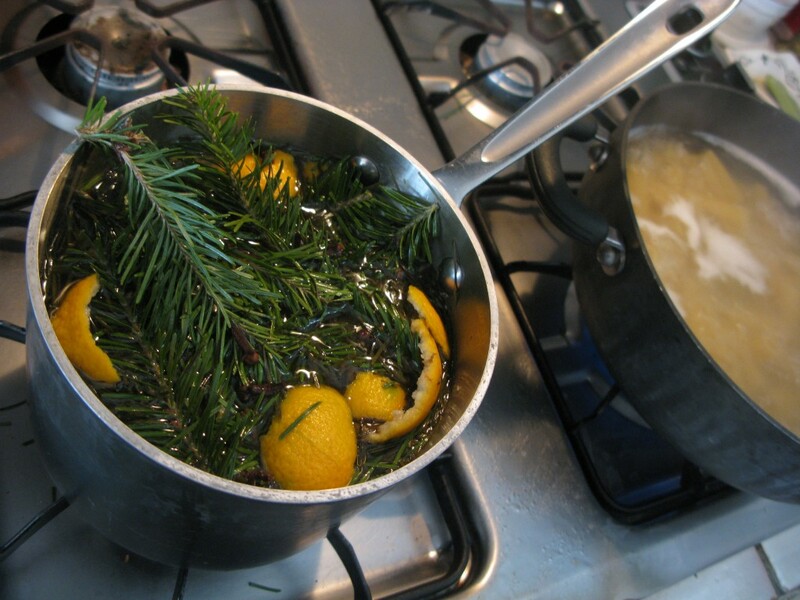 Fill the pot of pine and spices 3/4 full of water and set uncovered over a low flame to simmer. I leave my pot under the heat all the live-long day, give it a stir each time I enter the kitchen, and add more water whenever the level starts getting low. I turn off and cover the pot overnight, then fire it up again in the morning with the peels from my breakfast clementines, a few new snips of needles, and a sprinkling of fresh spices to keep it fragrant. This pot just keeps going and going until it’s time to retire my tree. Pine potpourri has become as much a part of my Christmas traditions as player pianos and homemade manicotti at Tony G’s, where the sounds, tastes and scents of the holidays remind me to savor the flavor of the season. Happy Holidays, Food Mavens. Eat ‘em Up! How did this never occurred to me? sounds so weird, I love it.